Portia Simpson Miller with Dr Peter Phillips in Parliament on Tuesday. 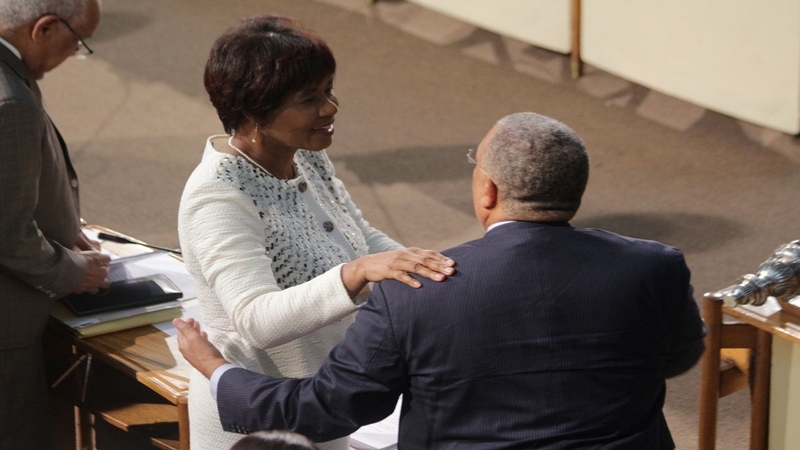 Opposition Leader, Dr Peter Phillips, on Tuesday labeled former Prime Minister, Portia Simpson Miller as a fearless and genuine leader for over 40 years, during a joint sitting of both Houses of Parliament to honour Simpson Miller. 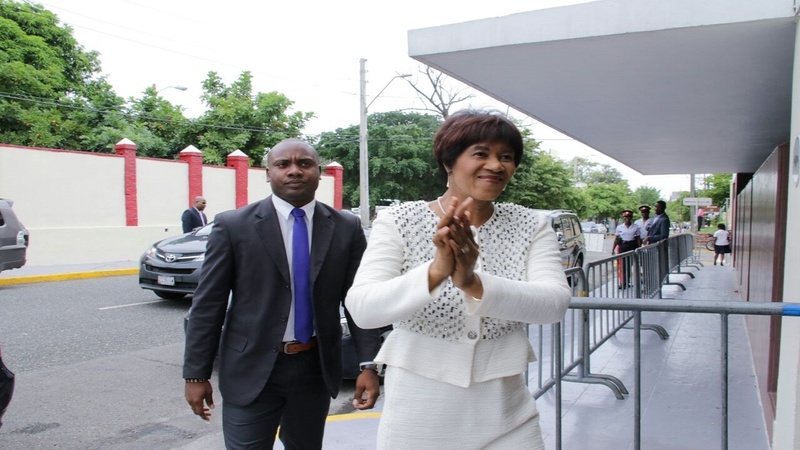 Dr Phillips drew sustained participation from the packed House in reiterating that Portia, as a politician, had demonstrated the disposition to go anywhere at anytime, as the need arose. He reminded that she was not afraid of “any man, any woman, and boy, any girl”, which was readily recited by those in the House. In noting that Time Magazine had named her as one of the 100 most influential women globally, Dr Phillips said the fact of Portia’s gritty transformation of South West St Andrew, a former Jamaica Labour Party (JLP) stronghold, into the safest People’s National Party (PNP) seat nationally, was evidence of her awesome political capacity. 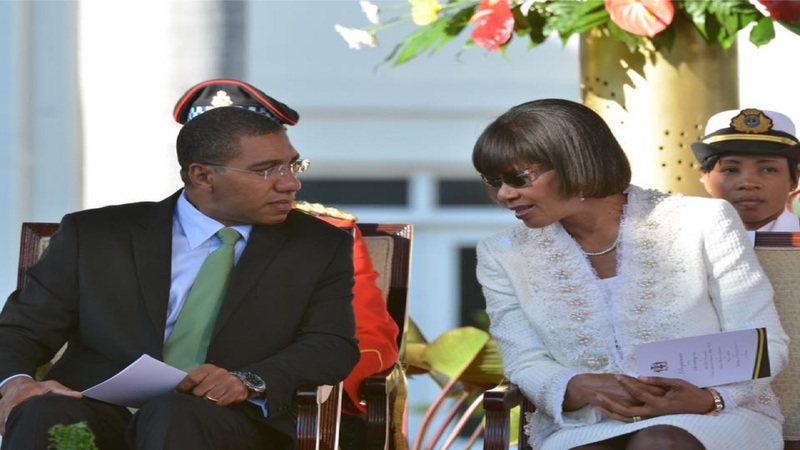 He cited that as a leader, while some around her would focus on wrongs, “Portia was always about what was right”. 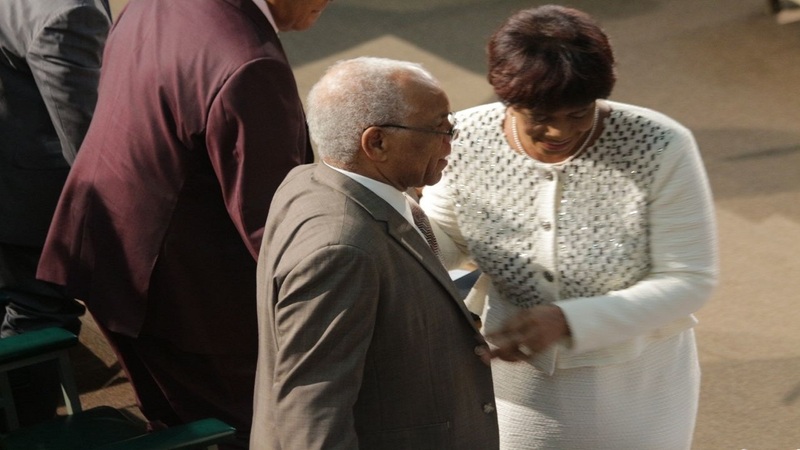 Dr Phllips said amid her intrinsic connection with the poor and needy, Simpson Miller had the eyes, ears and respect of the leadership of the country at all times on both sides of the political fence. He said it was personally gratifying for him, that she was able to rise above petty differences after his leadership challenges against her, in the best interest of the country, which reflected her true mettle as a leader.